Thank you for joining us as we continue to pray for a permanent venue in Hong Kong-a venue that will enable us to reach and impact more lives at this important point in history. More people are looking to be renewed, refreshed and grown in their faith through fellowship, but we do not have a sufficient number of meeting rooms. We see this as a blessing but it also highlights our great need for a permanent venue. We are currently reviewing locations in East Hong Kong Island, particularly a redevelopment opportunity in Shau Kei Wan. Please continue to pray for God's guidance for the right location. 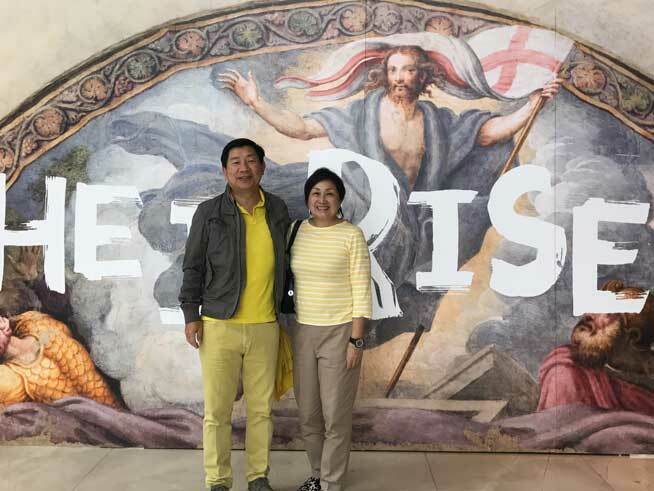 Henry and Kathy Shih are actively involved in Island ECC, and have joined us as BOLD Faith Ambassadors by giving of their time and resources towards the vision and heart of the BOLD Faith Campaign. Growing up in Christian families, we worshipped at a local church for many years. In 2011, we joined Island ECC and have been blessed by the teaching and training in the church. We attended the GROW discipleship programme, benefitted immensely from it, and have been facilitating GROW classes now for 6 years. Interacting with the men and women we have worked with over the years, we are in awe of the transformation God has made in them. This programme, and all the other teaching and fellowship programmes that Island ECC holds, fosters strong growth in the church. We see how classrooms are in short supply and the worship halls are packed. It's a joy to see how many children and adults join church activities every week. To house the church worship and its many classes, programmes, Care Groups, and allow more room for future growth; Island ECC needs a bigger premises. It is our privilege to serve Island ECC through our support of the BOLD Faith Campaign. We are of the belief that we are not owners, but stewards, of what God has entrusted to us. We hope that, as a church, we can have the bold faith to claim God's promises to meet Island ECC's need, thereby allowing Christ to bring hope to more people. We are grateful for Henry, Kathy, and hundreds of others (like you) who have purposefully stepped into the larger story God is writing in Hong Kong through Island ECC and our BOLD Faith Campaign. We believe a permanent venue will serve as the foundation for changed lives around Hong Kong. We don't take this calling lightly, and we believe it takes all of us. All of us to pray. All of us to believe. All of us to step forward with bold faith.